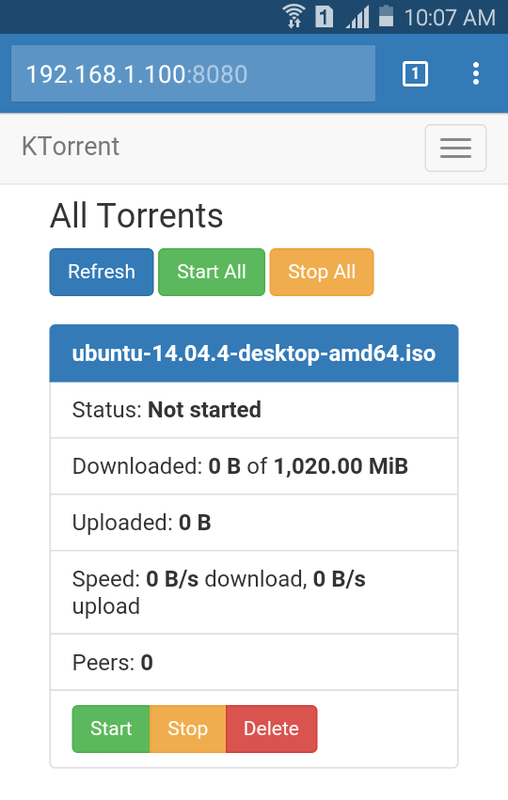 I have been using KTorrent, one awesome BitTorrent client for KDE, for almost 4 years. 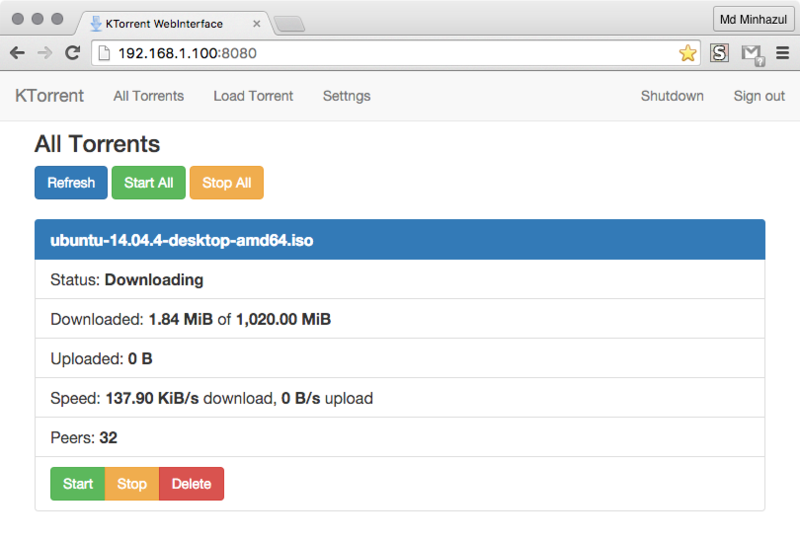 KTorrent comes with a plugin named WebInterface which makes it possible to see the list of torrents, control them and add torrents from remote network. The skins (aka themes) for WebInterface are not good enough for people like me who prefers pixel-perfect design. The biggest flaw in the design of those skins are that none of them are mobile friendly or responsive. Even there is a skin named mobile which isn’t mobile friendly at all. So I had to create my own skin. I named it KTorrentBootstrapUI. Here is a screenshot of how it looks from desktop browser.